Just $7 to ship anywhere in the U.S.! Have you ever thought about using clothesline cording, fabric and thread to make a basket? Well in this class you will do just that. 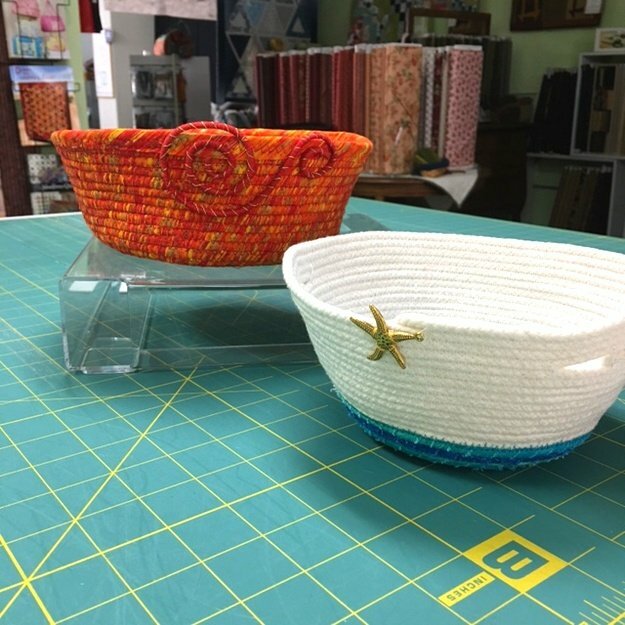 By learning how to wrap fabric around clothesline and shaping it into a basket you will create a one of a kind gift for yourself or a special friend.